No matter what sector you work in, your premises will require some kind of water heater, though your specific requirements may vary. It can be difficult deciding which water heater will suit your needs, which is why VHL have put together this guide, assessing the available options for efficiency and suitability for particular applications. Are water heaters different from boilers? First of all, it is worth noting that water heaters and boilers are not the same thing. A water heater uses a burner or element to heat cold water, which is used when a demand is placed on it. 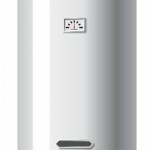 Water heaters may use a tank to store heated water for when it is needed, but they are also available in tankless models which produce hot water on demand. A boiler, on the other hand, is a closed loop system. 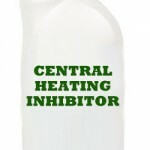 Hot water and steam are cycled around a series of pipes, radiators or other radiant heat systems such as underfloor heating, and then return to the boiler to be reheated. A boiler uses much hotter water temperatures than a water heater, as it turns the water to steam for ease of transportation and heat retention. A boiler draws hot water from the top of the tank and the cooled water returns to the system at the bottom to be reheated. 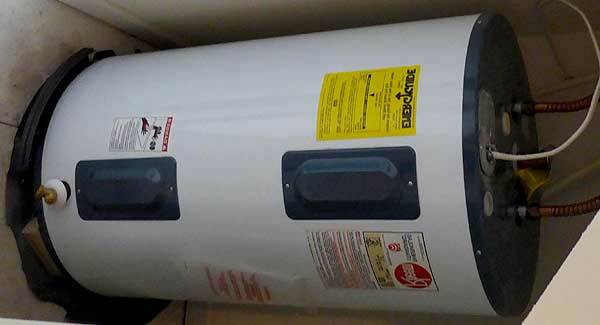 Storage water heaters use a separate tank to store water which has already been heated. This means that there is a constant supply ready to be used, but it also means that heat loss through the walls of the storage tank makes them less efficient than tankless models. Standard storage water heaters have a fast recovery rate, making them a good choice for commercial or industrial uses with a high volume of hot water demand. They should be placed close to the point of use to eliminate heat loss during the water’s journey. Balanced flue storage water heaters give you all the benefits of the standard water heater, while also giving you a balanced flue, which draws air into the flue system from outside the building. This makes them ideal for applications where the air inside the building could be contaminated, such as a dry cleaners or other industries where chemicals are used. They deliver hot water to the point of use immediately, which is another factor which could mean that a balanced flue option is right for you. Water heaters which use a fan assisted flue are ideal for use in properties where a long flue run is required but peak demand requires hot water to be delivered straight away. This feature means that they do not need to be placed at the point of use and can be used in applications where there may be little control over the location of the heater, such as historical buildings. Tankless water heaters supply water on demand, rather than heating up water and storing it in a tank for later use. This means that they are smaller than storage water heaters, and more efficient. Tankless units heat water on demand. This makes them very efficient, as they do not use tanks of stored hot water, which are susceptible to standby heat losses. This means that you only ever heat as much water as you need, rather than having a tankful sat around waiting to be used. 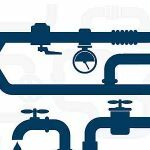 In most circumstances, tankless units are able to provide hot water without running out, as the water is heated when a demand is put on the heater, rather than coming from a pre-heated tank of hot water which may run out. If you have a particularly high hot water demand, however, a tankless unit may not be able to keep up. It is also worth noting that there is usually a delay of a few seconds when accessing the hot water before the heater fires up to heat the water. 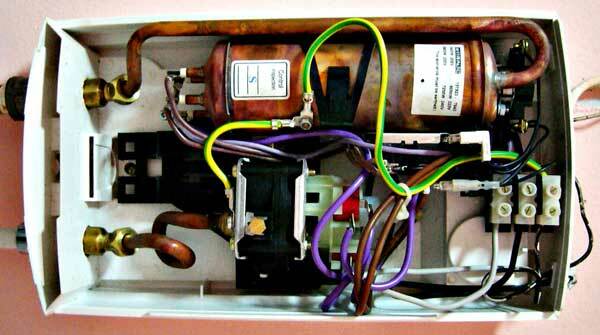 If you require a lot of hot water in several locations at the same time, the energy demand may be too much. Gas tankless units may be unable to operate at the capacity required if they are supplied by a low pressure gas main. The lack of an additional tank means that tankless models are more compact, making them a good option when space is limited. They can also be hung on the wall, freeing up floor space and allowing them to be used in applications where space is tight. While they are more efficient than storage water heaters, the initial purchase, installation and maintenance costs of a tankless system are usually higher. The savings made through the efficiency of the unit should make up for this over time, but the initial payout may be unaffordable. The average lifespan of a storage water heater is around 10 years, while a tankless unit should last up to 20 years, which should be taken into account when weighing up costs. Both storage and tankless water heaters are available with different fuel options, which have their individual pros and cons which should be taken into account when choosing a water heater. Electric water heaters use elements similar to those inside a kettle to heat the water. They are not always as efficient as water heaters which use other fuels, and electricity is more expensive than gas or propane, though the initial cost of an electric water heater is usually lower. They do not require venting to the outside, which may be a benefit for your application, and are ideal if your hot water demand is not particularly high. Gas water heaters use a burner at the bottom of the tank. They require a venting chimney to release CO2 and water vapour, which may not be ideal for all installations. You should also not store combustible materials near a gas water heater. They are more expensive than electric water heaters but they are more energy efficient and the cost of gas is cheaper. Propane water heaters are similar to those which use gas, but are often used in cases where there is no access to the gas mains supply. The propane is supplied to the heater from a large tank on the property. Combustible items should not be stored nearby. Oil water heaters are again similar to those which use gas, though the oil is mixed with air and turned into a mist with a power burner. This mist is then ignited with an electric spark. Oil models are usually used when there is no access to the gas mains supply and the oil must be stored in a tank on the property. Again, combustible items should not be stored nearby. Solar water heaters make use of the sun’s heat, which is absorbed by a solar panel, usually on the roof. Tubes within the panel then either heat the water directly as it flows through them, or it heats a transfer fluid which then warms a heat exchanger which, in turn, heats the water in a storage tank. The initial installation costs can be high, but this option benefits from being environmentally friendly, as well as saving money by ustilising a free source of energy. If you require a consistent amount of hot water then solar power may not be the ideal choice. Solar hot water systems are often used in conjunction with other fuels to ensure reliable hot water, while also keeping your energy costs down. Heat pump water heaters pull heat from the air and use it to heat the water. 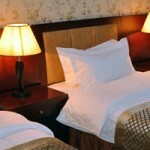 They are much more efficient than electric water heaters, though demand for them is low and there are few manufacturers. The up-front costs for this renewable form of energy are also high. If you’re looking to install a new hot water heater in your commercial premises, get in touch with VHL today. Our expert team are always on hand to discuss your individual requirements and to decide the right option to suit your needs.